The management of the Nigerian National Petroleum Corporation, NNPC on Thursday formally announced the appointment of new Group Executive Directors, GEDs for its restructured divisions, as some top officials were either redeployed or seconded to key positions in the corporation. Top among those affected was former Group General Manager, Group Public Affairs Division, GPAD, Ohi Alegbe, who was redeployed to the Corporate Social Responsibility unit in the Group Managing Director’s office as Group General Manager. Mr. Alegbe was replaced by Mohammed Garba. Until his appointment, Mr. Garba was the president of the Nigerian Guild of Editors. Also appointed as GGM in charge of Downstream Division was Surajdeen Afolabi, who was suspended in October 2015 over the controversial multi-billion Naira SAP Enterprise Resources Planning (ERP) project. Mr. Afolabi would support the GED Downstream with the strategy in the execution of projects. 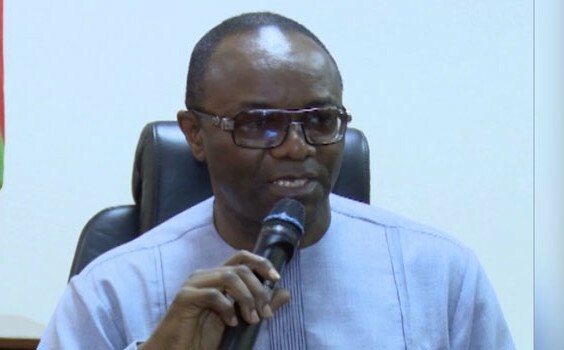 The new GEDs/Chief Operating Oficers for the five business focussed divisions announced on Tuesday by the Minister of State for Petroleum Resources, Ibe Kachikwu, include Bello Rabiu, who would be in charge of the Upstream division of the petroleum industry; Henry Ikem-Obih (Downstream); Anibor Kragba (Refineries); Saidu Mohammed (Gas & Power)and Ventures (Babatunde Adeniran). The GEDs/COOs for the two service divisions include Isiaka Abdulrazaq for Finance & Accounts and Isa Inuwa for Corporate Services divisions. Other appointments include Ugochukwu Afamefuna Vitalis (Refineries); Yusuf Matashi (Gas & Power) and Ladipo Fagbola (Ventures). Ahmadu Sambo was named GGM for Finance & Accounts, while Modupe Bammake was named for Corporate Services division. Similarly, the heads of the strategic business units, SBUs include Roland Ewubare as the managing director of Integrated Data Services Limited, IDSL under the Upstream division, while Esther Nnamdi-Ogbue, formerly managing director of the Pipelines and Products Marketing Company, PPMC, was appointed new MD of NNPC Retail under Downstream division. Former Executive Secretary of Petroleum Products Pricing Regulatory Agency, PPPRA, Farouk Ahmed, was appointed the MD of the newly created Nigeria Petroleum Marketing, while Dalhatu Makama would the GGM in charge of Marine Logistics in the downstream division. Under the refineries division, Bafred Enjugu, Adewale Ladenegan and Idi Mukhtar were appointed MDs for Port Harcourt, Warri and Kaduna refineries respectively. The MD Gas & Power Investments was named as Samuel Ndukwe, while Mazadu Bako was appointed MD of the Nigerian Gas Marketing Company, NGMC, and Babatunde Bakare as MD NGPIC. The MDs for Properties, Shipping, Nigerian Engineering & Technical Company, NETCO, and NOFS are Danny George; Saidu Abubakar; Aliyu Sikiru and Lawrencia Ndupu respectively. Rabiu Sulaiman was named as the GGM RED/Frontier Exploration services, and Oyetunde Oyekan as GGM Medicals. Inuwa Waya would serve MD Trading in the Group Managing Director, GMD’s office, while Mele Kyari was retained as GGM Crude Oil Marketing Division, COMD. Ndaadiyale was named Managing Director, Pensions, while Izien Okosun was appointed MD Insurance, while GM Group Admin Services was named as Eziaha Uchendu and GGM NNPC Leadership Academy as Ayatode Oyinlola. The GGM for National Petroleum Investments Management Services, NAPIMs is Dafe Sejebor, while GGM Government & Labour Relations is Ndu Aghumadu and GGM Efficiency Unit is Bala Wunti, with Chidi Momah as GGM OSLD. Those appointed in Corporate Services division include Inuwa Danladi as GGM ITD; Adekemi Akitoye as GGM Human Resources; Farouk Sa’id as GGM ETD; Sophia Mbakwe as GM SCM; Sam Otoboeze as GM. Group Security; Maduebo Mbakwe as GM, Health, Safety and Environment, HSE. Those on secondment to the exploration & production division include Minti Baru asTechnical Adviser Gas in the Ministry of Petroleum Resources and Abubakar Sadeeq, formerly MD Nigerian Petroleum Development Company, to the Nigeria LNG deputy managing director, while Nnamdi Ajulu was named consultant Refinery & Infrastructure to the Ministry of Petroleum Resources.